The students at OSU have you covered for a quick, affordable bite to eat between cheering on the Buckeyes and getting bags under your eyes from all-nighters. 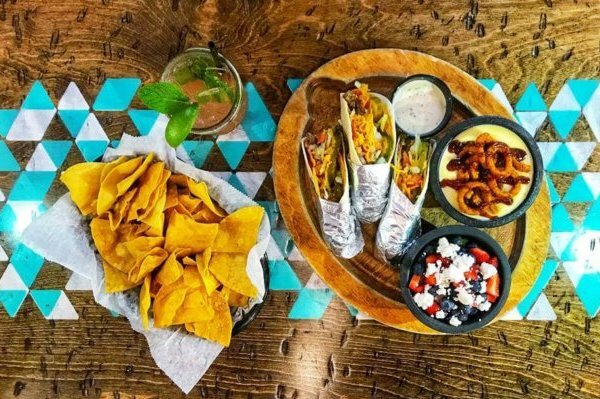 Columbus has everything from sit down restaurants to fast food joints; from build your own tacos, to fresh breakfast, to cocktail bars. And everything on our list has been tested (and approved) by students who visit these restaurants every day. 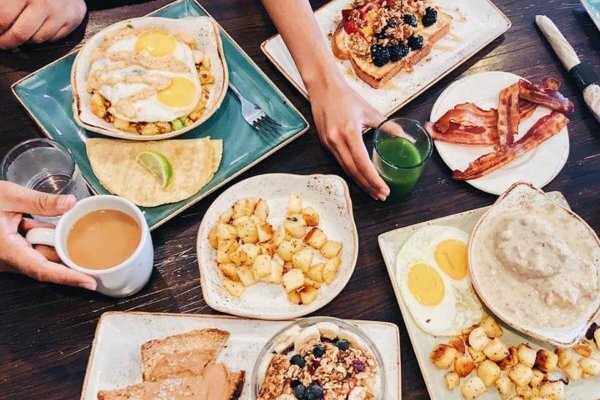 Explore the top 10 restaurants in Columbus according to OSU students. 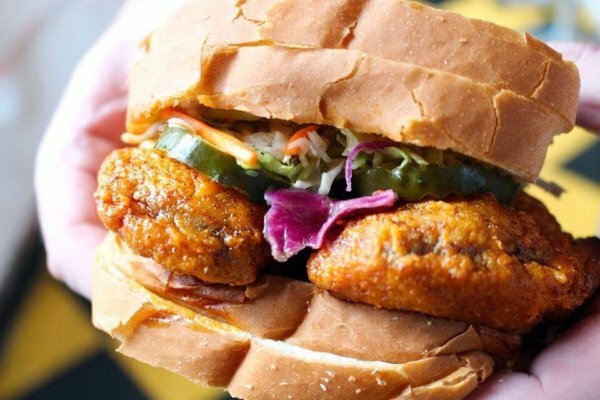 Nashville style hot chicken? Southern style sweet tea? Yes, please. “I like Hot Chicken Takeover a lot! The chicken is bomb because of the amazing seasoning they have, and the mac and cheese is also dope. The sweet tea is southern style and very sweet,” Ohio State University senior Cole Holubeck said. Now, you can effortlessly transport yourself to the country music capital while studying for your finals. Nothing sounds better than Mediterranean made easy, and no one does it better than Brassica. 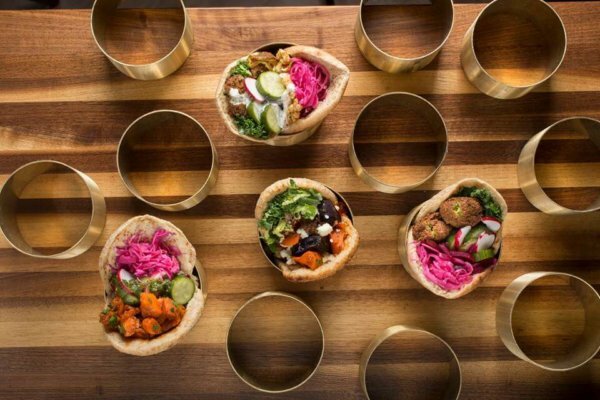 You basically get to create your own pita or salad with their huge assortment of food and ingredients. And to complement the taste, everything looks so beautiful. The foods’ colors pop as soon as you walk in. You might spend as much time taking pictures of your food as you do eating it. Tacos and cocktails: name a better combo, I’ll wait. Nada in Columbus serves up the best of both. They serve lunch, dinner and brunch on the weekends, and complete the already chic atmosphere with an outdoor patio area. And they set up shop right in the heart of downtown Columbus Arena District. Talk about up-and-coming. Tais Asian Bistro stands as the mecca for great Asian food. 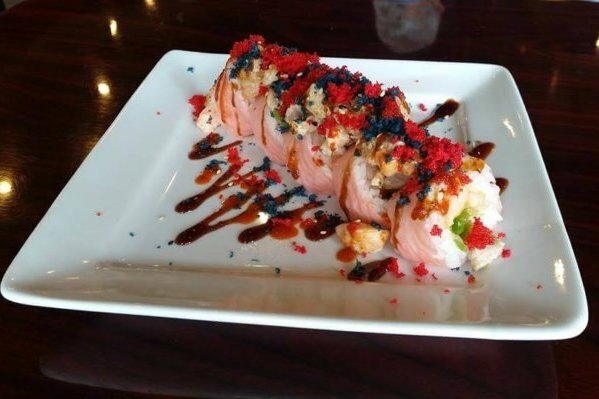 They serve up everything from Pad Thai to wontons to sushi, and make the experience even better by charging affordable prices for their large portions. “The portion sizes are huge, and the different Pad Thai’s are amazing. It’s super cheap for the portions they give out,” OSU junior Haewon Kwon said. It sounds almost too good to be true. We’ll just all have to put on our stretchy pants and try it out for ourselves, I guess. Breakfast: the most important meal of the day. First Watch: the most important breakfast restaurant around. They commit themselves so fully to the breakfast cause that they only stay open through brunch. They use fresh ingredients, make their French toast batter from scratch and refrain from using deep fryers to keep everything healthy. They know how to start your day off right—not like your usual iced coffee and stress for breakfast. 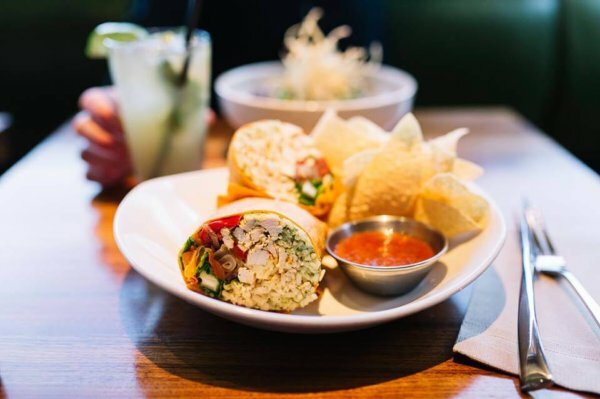 Northstar serves sandwiches, salads, pizzas and burritos. It sounds pretty typical, right? Well, Northstar differentiates itself by offering to serve everything on the menu meat and dairy free. “Their food is all natural and healthy, and completely unique to the restaurant,” OSU senior Rina Patel said. To add to that impressive list, they also serve house-made sodas. Basically, they stand as titans of the health food industry. Steak, seafood and Smith & Wollensky’s. Their Columbus location sits right in the middle of Easton Town Center, and looks just as fancy as you would think a steak and seafood restaurant should. “I like it because they have really great food. The fact that it’s at Easton makes it better,” OSU junior Austen Miller said. 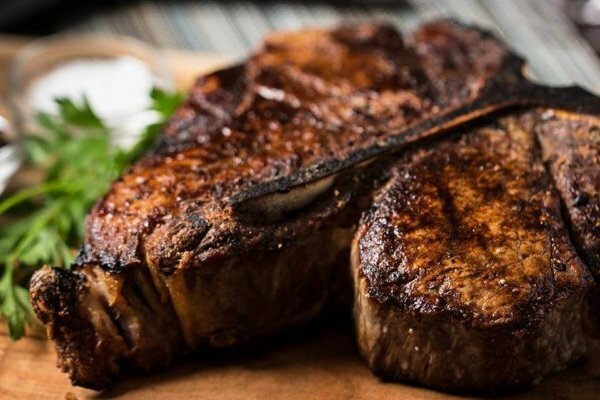 Put on your best shoes, try to convince your parents to foot the bill when they come visit and go out for some seriously delicious steak and seafood. Another small treasure, Crazzy Greek serves classic Greek food with their own personal style. 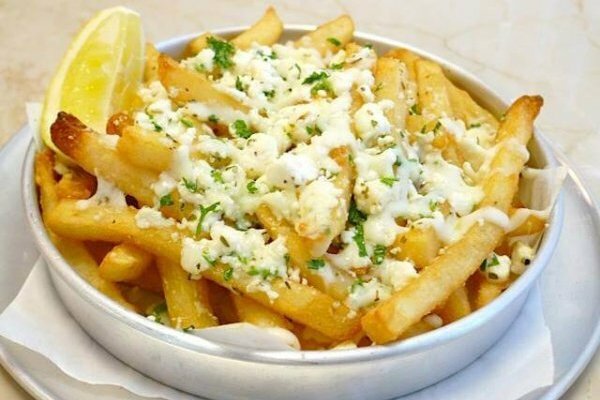 Imagine french fries smothered in feta cheese and garlic sauce; or chicken smothered in homemade hot sauce. And imagine eating it whenever you want. You can mix and match all your favorite combos with their lunch specials, and, as a cherry on top, you can order online for takeout or delivery. This equals literally every college student’s dream. No one can deny that pizza makes the best drunk food, so nothing compares to a restaurant that sells both pizza and cocktails in one setting. “My favorite restaurant in Columbus is Forno because they have the best pizza and a great happy hour selection of various cocktials,” OSU junior Pooja Chaudhry said. Now you don’t have to worry about ordering delivery to your dorm; instead you can make your pizza nights a night out. This build-your-own-taco joint sits right next to OSU campus, making it even easier for students to score some amazing tacos. 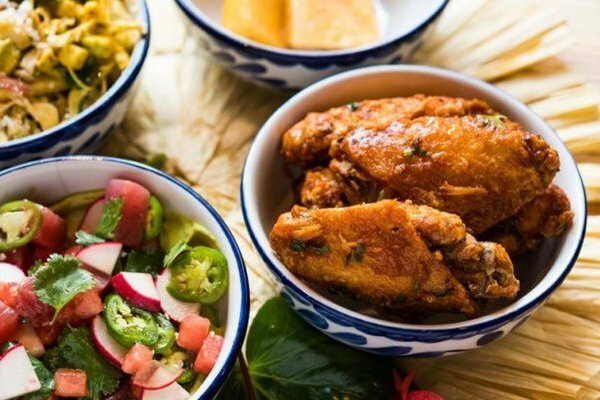 “It’s like one of those trendy, pick-your-own toppings taco places. And their queso is sooooo good,” OSU junior Anjali Gupta said. If their queso deserves a “sooooo good” with that many o’s, it must taste divine.